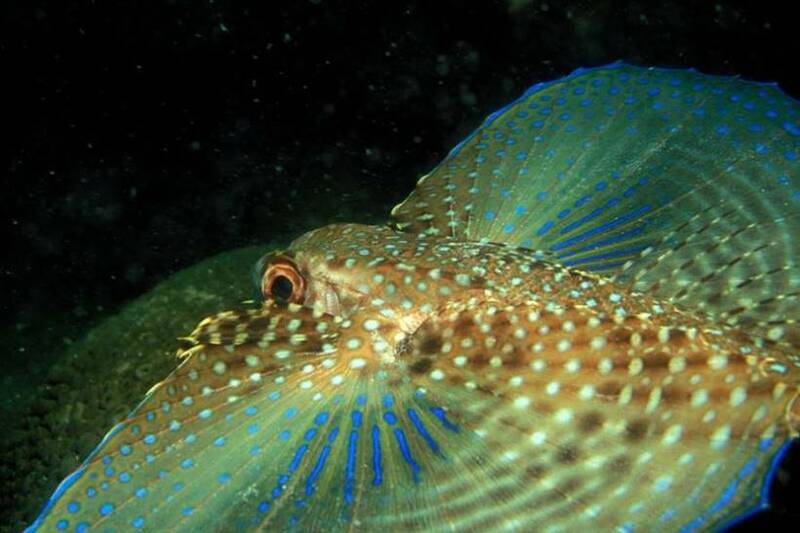 The Flying gurnard with the scientific name Dactylopterus volitans and also known as the helmet gurnard, has fantastically translucent fins, with a phantom blue coloration at their edges. 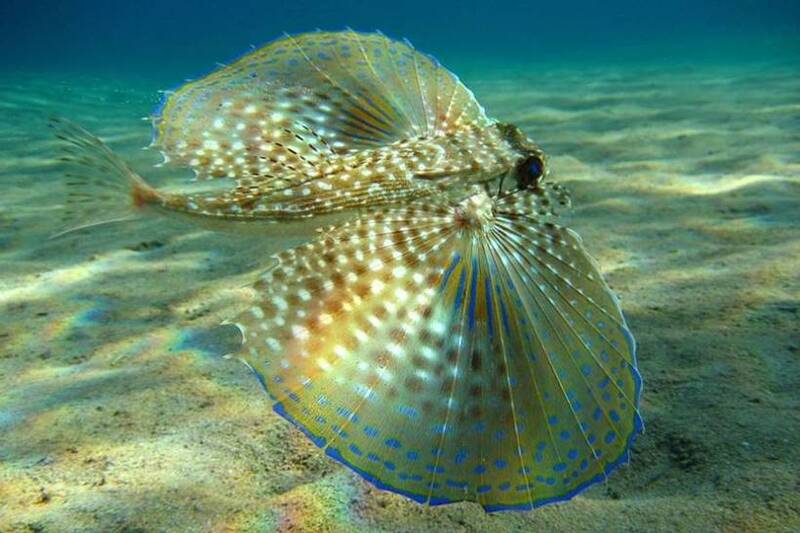 This fish, which belongs to the family of swallows, usually lives in tropical, warm waters but is located on both sides of the Atlantic Ocean. On the American side, he lives in Canada and South in Argentina, including the Caribbean and the Gulf of Mexico. It has beautiful colored "wings"! From the European and African sides, it is from the English Channel to Angola, including the Mediterranean. 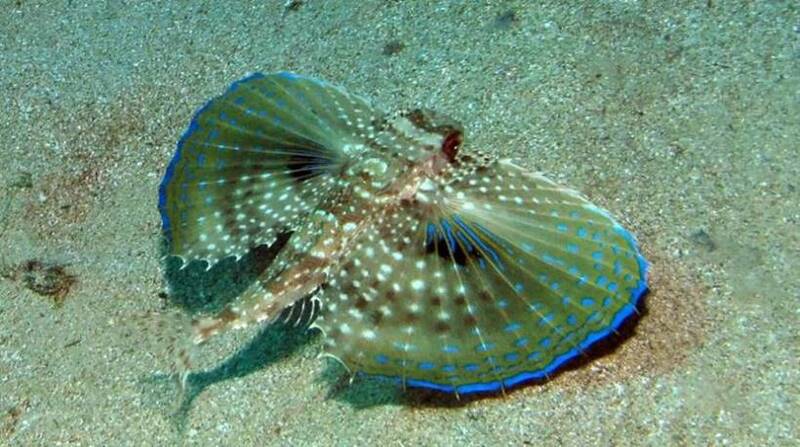 Similar fish species of the genus Dactyloptena are found in the Indian and Pacific oceans. 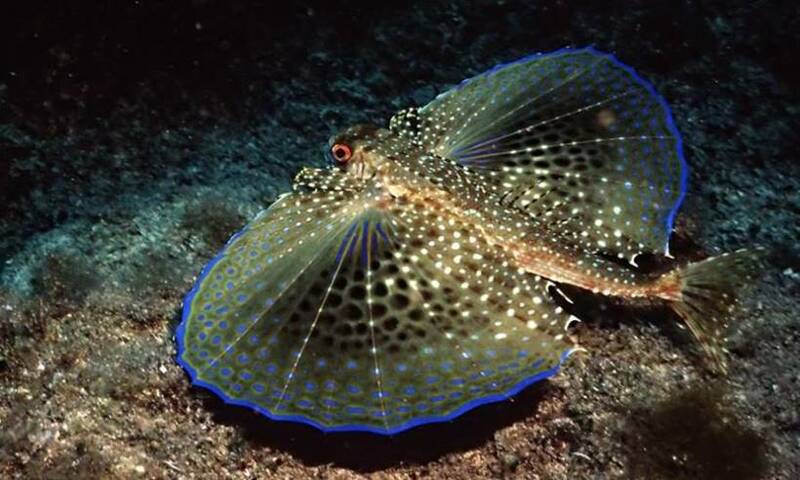 The flying gurnard has large eyes, with a length of up to 50 centimeters and a weight of about 2 pounds. 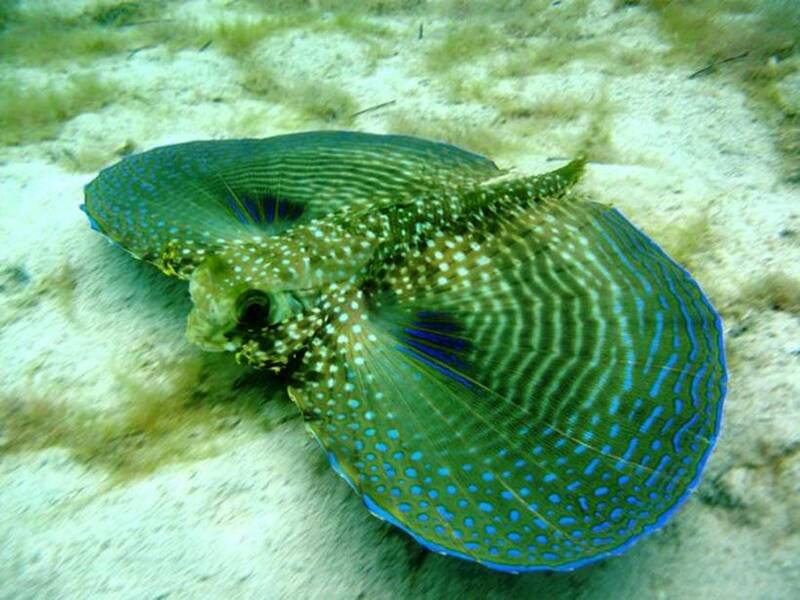 These beautiful fish also adorn many aquariums around the world, as it is a fascinating creature that is worth seeing.